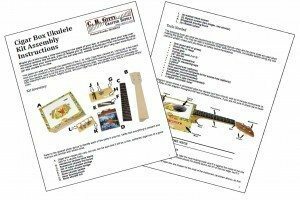 Cigar Box Ukuleles – The How-To Repository for the Cigar Box Guitar Movement! Info and how-to specific to ukuleles made from cigar boxes and other repurposed items. In this video lesson, Dan Russell shows you how to play his take on the classic blues song “Cocaine Blues”, as performed by Townes Van Zandt on the cigar box ukulele. Five basic uke chords are used, making this a nice easy one for both beginners and more seasoned players alike!